Searching for a new car or SUV near Covington? 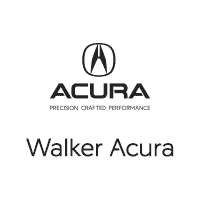 At Walker Acura, our new vehicle inventory is full of popular Acura models, from the new MDX to the sleek TLX. Be sure to also view our selection of new vehicle specials, so you can get behind the wheel of a new Walker Acura for a lower price. Once you’ve found a model that catches your eye, make the trip to Metairie to take a test drive! When you’re ready to hit the New Orleans streets in a new Acura, stop by our showroom and our sales staff will be happy to help you choose the model that’s right for you. If you have any questions about our available inventory, feel free to contact us. And, once you’ve gotten behind the wheel of your new Acura, check out some of the best seafood restaurants in Metairie.